The search for the best sales professionals is a search for those who have the mentality, mindset and commitment to become a Sales Assassin. The best producers of sales performance are those who have the SAM DNA – Distinctive Nature to Achieve. The SAM DNA belongs to those who will produce with or without the tools, training and resources of the biggest organizations. They have the instincts and out-perform the average person. Finding the best is not luck, it is about a search for the personality characteristics that differentiate success from failure. No matter the nature of your business or its size or characteristics, finding the sales professionals that possess qualities that ignite passion to succeed is an imperative. Sales professionals are a special breed no matter the industry. Are people born to be sales people? What I do know and I will say over and over is that I’ve never seen a person grow up or go to college with a desire to be a sales professional. Further, are there any tools that accurately predict sales capability? I have been through a ton of personality profile tools in search of the one that best predicts success. I’m sorry – there is no such tool that has the one and only formula to predict success. 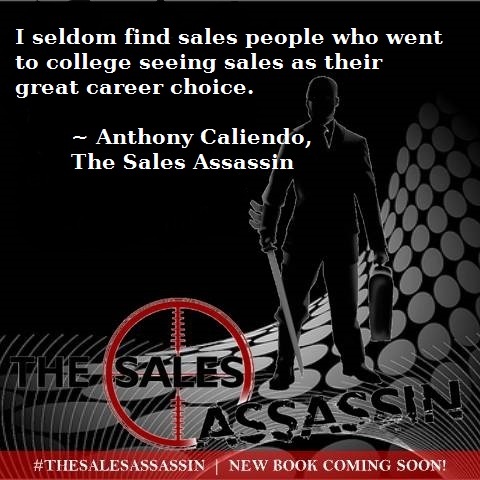 I seldom find sales people who grew up and went to college seeing sales as their great career choice.